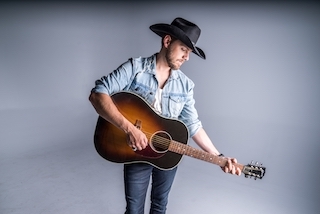 Canadian country crooner and multiple award winner Brett Kissel is making his mark with the “most extensive tour in the history of Canadian music.” Kissel brings his “We Were that Song Tour — Part 2” to the Enmax Centre in Lethbridge Nov. 29 with special guest Dan Davidson. “The show is selling really well and I think we’re going to have a really good party when we hit up Lethbridge,” Kissel said. According to Kissel, other Canadian acts including Blue Rodeo and Stompin’ Tom Conners have had very busy years, but for one tour and to have this type of reach — to play every province and territory — it’s something that has never been done in the same calendar year. Another special moment coming up for Kissel is when he performs the Canadian anthem at this year’s Grey Cup in Edmonton this Sunday (Nov. 25). “That’s a huge honour. For the CFL to have reached out to me and asked me to sing what I truly believe is the greatest song in the world — our national anthem — I’m really proud,” Kissel noted. Kissel explained to get the opportunity to come home to Alberta to end the current tour was completely by design and he didn’t want to end it anywhere else. “I wanted it to be wrapped up at home in front of friends, family, and people who love their country music. It’s really hard to find people across Canada that love country music more than Albertans do and especially in Lethbridge. You look at Country 95 and how strong their listenership is and the Western culture and rural way of life that is in southern Alberta — I feel at home there and I’m really excited we’re going to have such a great show,” he said. Kissel’s awards include Canadian Country Music Association Awards for two consecutive Male Artist of the Year awards and the coveted Fans’ Choice. He was also the recipient of the Allan Slaight Honour from Canada’s Walk of Fame and was the Breakthrough Artist of the Year winner at the JUNO Awards. Kissel is also the only Canadian to ever tour with Garth Brooks. “Playing with Garth is impossible to effectively describe. I really appreciate his willingness to take me under his wing and teach me so much about what it means to be an entertainer in this business,” he noted in his biography. “I think as time goes on a lot of the underground artists and a lot of the giant stars are saying they are proud to be from Canada,” he added. As far as any new projects on the horizon, Kissel noted he gets to be a dad for the third time, which is big news for the country star. “My wife and I — we are expecting our third baby that will arrive right after our tour. We’re very excited to welcome the newest edition to our family. That will be the end of January or very early February. As we wrap things up and spend time over Christmas, my wife and I are really going to hunker down and really just be normal and connect after a tour like this,” he said. “My wife and daughters have been on the road with me. But it’s going to be great to be normal for a little while. So our latest project is going to be baby number three,” he joked. Kissel said playing as many dates as he’s been able to play, he’s often been asked whether or not he’s burnt out. “I think it’s the opposite. I feel regaining momentum going into these final shows. The energy and excitement and the happiness I feel to be coming home is off the charts,” he said. Don’t miss Kissel’s Lethbridge stop on his coming home portion of his latest tour. Show starts at 8 p.m. Tickets are available to purchase online at enmaxcentre.ca.